I extoll the virtues of all things Greyhawk related on Greyhawkery, but Charles Akins over at Dyvers is better at cutting to the chase. 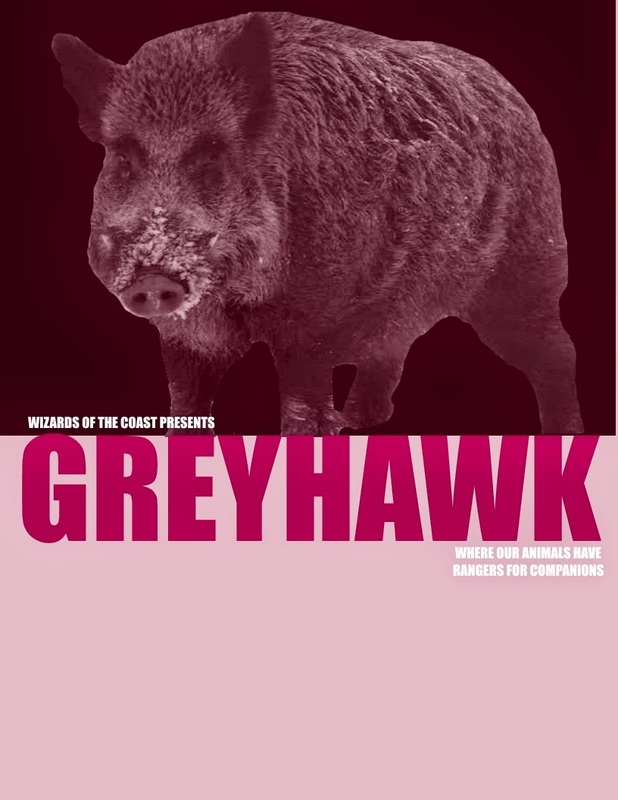 The latest snub by Wizards regarding their long term D&D plans to not update any settings or even feature them in an adventure, yet still update and fully support Forgotten Realms has made Mr. Akins inspired to create humorous Greyhawk themed posters. I have no doubt that between Twitter, G+ and ENWorld these posters will get some notice or at least get under the skin of D&D's head honchos a bit. Greyhawk fans are tenacious. We'll get along fine without any books or video games or whatever passes as D&D these days. I figure if enough of us show an interest in it we might actually get something out of them. You know, something that isn't shoved into the Forgotten Realms. Changing the course of sourcebook and adventure writing seems attainable. Changing the course of the other D&D media; novels, video games and so on is much more daunting.